Prof. Niels C. Riedemann, M.D., Ph.D.
Prof. Riedemann received his medical training at Freiburg, Germany, and Stanford University, USA. He performed basic science research at The University of Michigan in the field of complement immunology and inflammation for several years and then completed his board certification in General Surgery at Hannover Medical School, where he still holds a Professorship in Experimental Surgery. He specialized as an Intensive Care Physician and was appointed Vice Director of Intensive Care Medicine at the Friedrich Schiller University in Jena, Germany. His research has been awarded with several national and international awards, including the Hugo-Schottmüller-Award and Hans-Liniger-Award. He has received extensive extra-mural funding and published over 50 high impact scientific publications. He serves as a member on two Boards of Directors of large scientific governmental programs. As Founder of InflaRx, Prof. Riedemann combines in-depth basic science experience and advanced clinical knowledge in the field of inflammation and acute care. Prof. Riedemann has lead InflaRx as CEO since 2007. Prof. Renfeng Guo received his M.D. degree from Norman Bethune Medical School in China. He did his post-doctoral research training in the laboratory of Prof. Peter Ward at the University of Michigan, Ann Arbor. He has been a junior and senior faculty member at the University of Michigan since 2001, where he remains an Adjunct Research Associate Professor. He has authored or co-authored over 75 high impact publications in the fields of cancer, infection, and inflammation research. He holds an Adjunct Professorship at Beijing Institute of Microbiology and Epidemiology, since 2008. 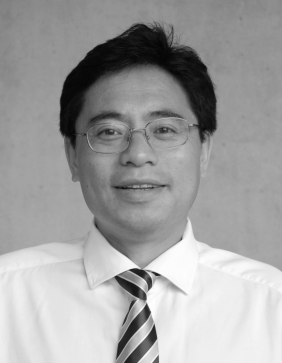 As Founder and CSO of InflaRx, Prof. Guo leverages his expertise in antibody research and inflammation, bringing together a highly efficient research team for drug development and building a focused pipeline based on their cutting-edge technology. Prof. Guo has been heading scientific development at InflaRx as the full-time CSO since its inception, in 2007. Arnd Christ has served as Chief Financial Officer at InflaRx since April 2015. He has a 17-year track record as CFO in private and publicly owned biotech companies. Before joining InflaRx, Arnd Christ was CFO of Medigene AG (listed), Munich, Novimmune SA, Geneva and Probiodrug AG, Halle, Germany. During this time, Arnd Christ played a pivotal role in developing the companies by conducting numerous corporate transactions such as raising capital, licensing deals with pharmaceutical companies, asset sales and managing successful turn-arounds. Before joining the biotech industry, Arnd Christ served as Financial Director in various companies of the former Hoechst Group in Germany and the UK. Arnd has a degree in business & administration from the University of Würzburg, Germany. Othmar Zenker received his M.D. from Kiel Medical School in Germany in 1990 and has more than 20 years experience in clinical drug development internationally. He has held lead positions within clinical programs of companies such as Wyeth Pharmaceuticals and CSL Behring. 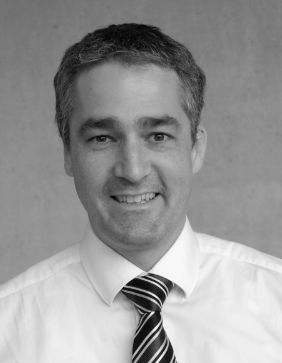 Prior to joining our management team in 2013, he was Global Head of Immunology at CSL Behring. Dr. Zenker was Head of Clinical R&D at InflaRx from 2013 until 2017 and has played a key role in various innovative clinical development programs at InflaRx. He was promoted to Chief Medical Officer in 2017. Jason Marks has served as InflaRx’s Chief Legal Officer & General Counsel, and as corporate secretary, since January 2019. He has extensive global experience in legal and compliance for large multi-national companies in life sciences, working both in the United States and Europe. Prior to joining InflaRx, he was Senior Vice President, Head of Legal Branded Rx (Salix) and Global Litigation & Government Investigations, at Bausch Health (formerly Valeant) where he was brought in to manage some of the highest-profile matters in the industry. As the lead lawyer for Salix, Jason Marks and his team provided support from development to launch and commercialization, including multiple commercial launches. He also created and led the company’s first Legal Operations and Enterprise Risk Management functions. Jason Marks has also held roles of increasing responsibility at Alcon (a Novartis Company), where he was Head Legal, North America and Global Litigation and Government Investigations, and at Stryker Corporation. He has a J.D., with honors, from the George Washington University School of Law and an A.B. from The University of Chicago. 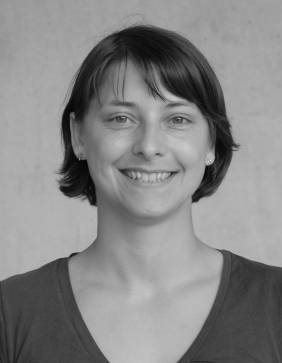 Maria Habel studied biochemistry and received her Ph.D. in Science from the Graduate School for Cellular and Biomedical Science of the University Bern, Switzerland, in 2008. She joined InflaRx in 2008 as Head of Laboratory and was part of the initial InflaRx team to start the company. Dr. Habel has lead all pre-clinical R&D programs of InflaRx since 2013 and has taken on responsibilities for various scientific projects investigating the complement system and characterization of lead drug candidates. In addition, Dr. Habel has been appointed Head of Quality Control within the company’s GMP manufacturing activities, since 2010.